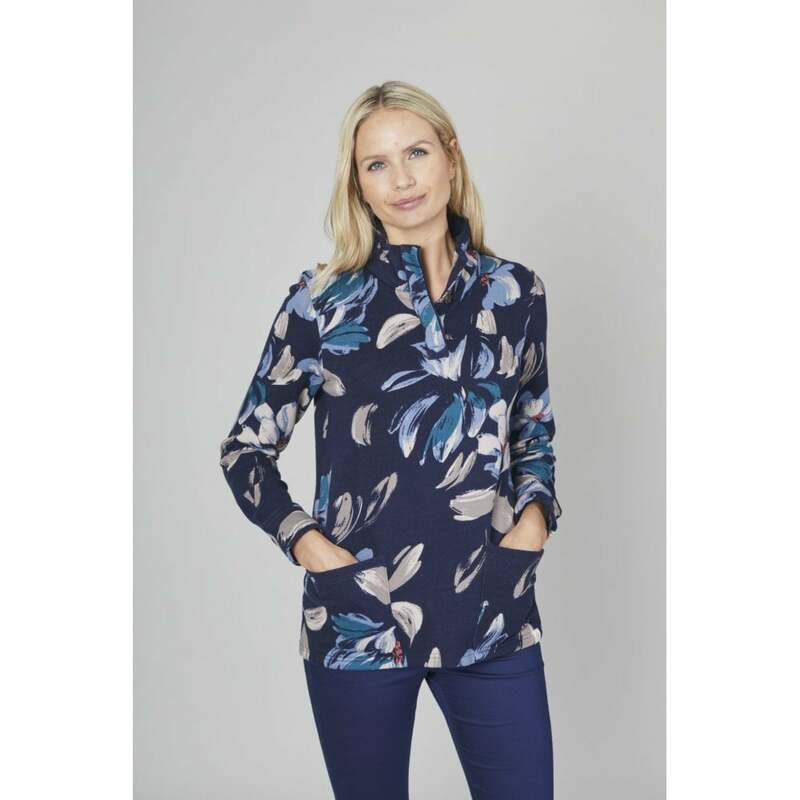 Brighten up those dull winter days with this stunning winter magnolia pattern funnel neck sweatshirt is perfect for comfortable everyday wear all year round. A brand new style for this season featuring long sleeves, front pockets and made of 100% cotton. Keep warm and cosy this season in your new favourite sweatshirt!